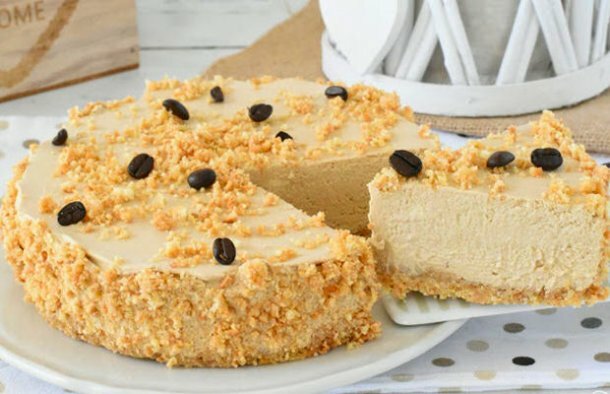 This delicious, no baking needed Portuguese Maria biscuits and coffee pie (tarte de bolacha maria e café) makes a great dessert. Chop the maria biscuits into a fine grind and add the melted butter. Knead well and place it on the bottom of a 22 cm diameter pie pan lined with parchment paper and refrigerate for 30 minutes. Dissolve the instant coffee powder in the hot espresso and let it cooldown. 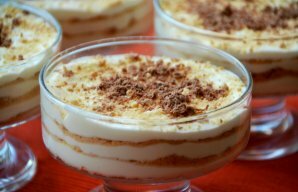 Whisk the cream firmly, add the gelatin soaked in cold water and melted in the microwave, always beating. Add the condensed milk, the vanilla extract and wrap well. Add the cold coffee and mix very well. Pour it into the pan with the biscuit base and refrigerate overnight. At the time of serving, unmold from the pan, eliminating the parchment paper and cover it with grated biscuits and garnish it with coffee beans. 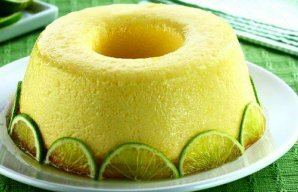 This Portuguese lime pudding recipe (receita de pudim de limão) is very easy to prepare and tastes amazing.